I was looking for a moisturizing wash last month, so I picked up Softsoap's Body Butter Coconut Scrub Body Buff Wash ($3.49/15 fl. oz. at Walmart). I also picked up a 4-pack of the matching Coconut Scrub Bar Soap ($2.99/3.9 oz.). Both of the products have worked well to moisturize, particularly the liquid scrub. The light coconut scent is a major added bonus, because it reminds me of good memories like Florida vacations and summers on the beach here at home. 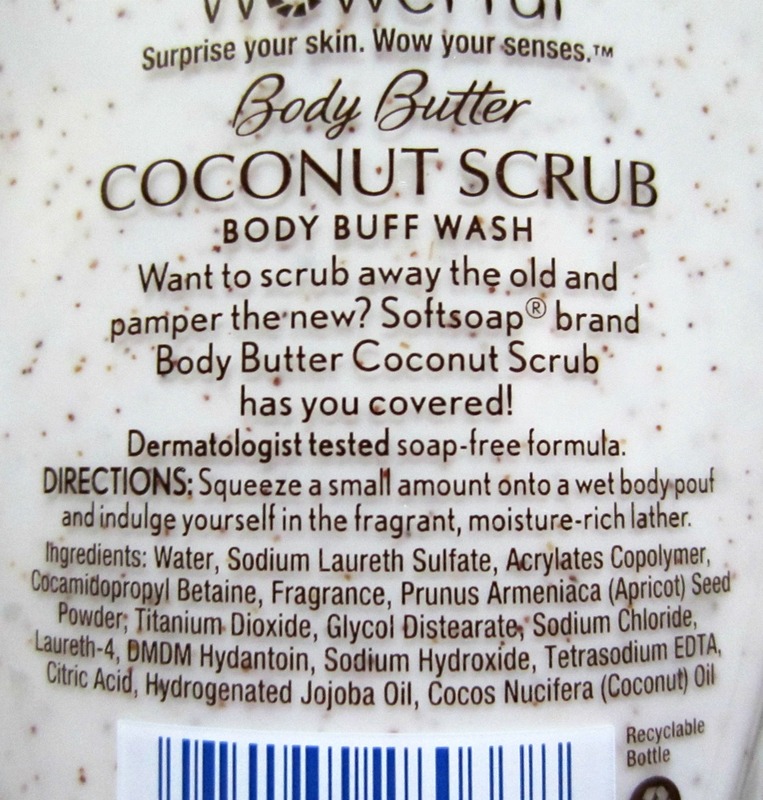 The formula on the body scrub is very rich and thick, and while it has plenty of visible exfoliating grains (apricot shell), they are very fine. 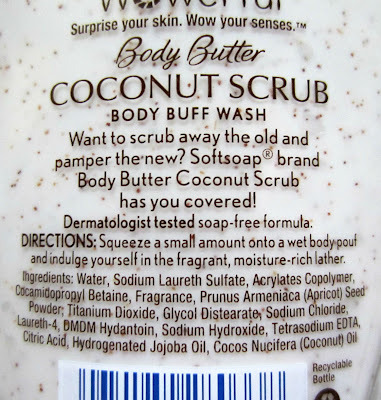 I can't "feel" the grains, but my skin definitely feels softer and it looks less ashy, for lack of a better word! It's enriched with jojoba butter and crushed coconut extracts, and just a dollop on my shower brush produces plenty of lather. 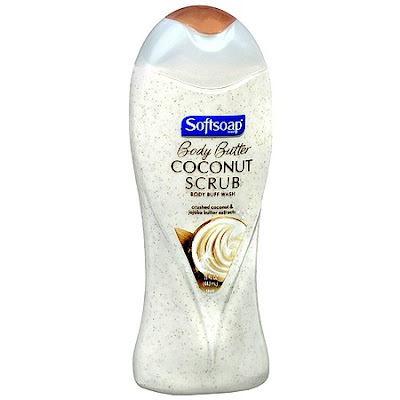 It rinses clean leaving nothing but silky smooth skin. Areas that normally look dry such as the elbows, don't even look like they need moisturizer applied after using this. 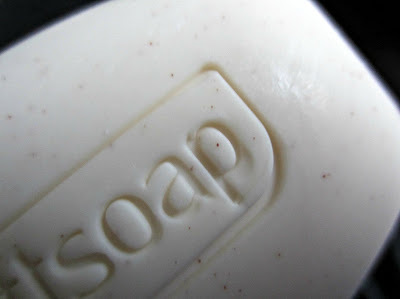 The companion bar soap in this scent line has the same light coconut/tropical scent and small exfoliating grains. The grains in the bar soap are more evident to the touch than they are in the body wash, but they're still very mild. 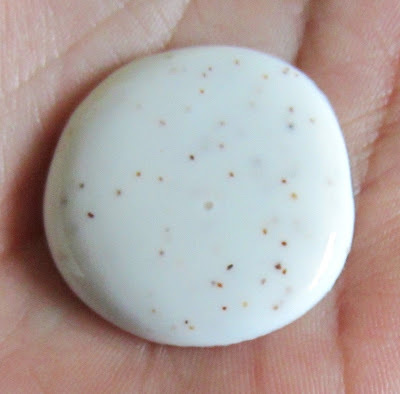 The soap lathers up very well, and like the wash it rinses clean. My skin feels a little tighter after using the bar soap than the body wash, so I didn't find it to be quite as moisturizing as the liquid product. 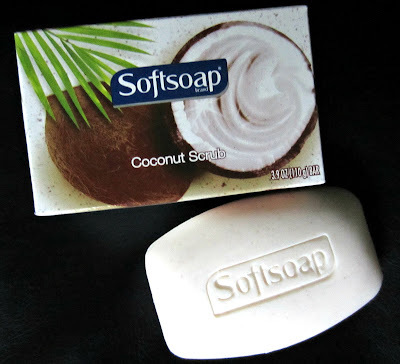 Both of these products leave a light lingering scent of coconut, but that gradually fades on me in about an hour. My skin doesn't seem to need as much moisture during the warmer months, so I think I'll continue to use the body wash in the colder, dryer months. It did a great job of softening my skin throughout the day, so I would definitely purchase it again. The bar soap is nice, but it didn't seem to do anything exceptional for me, so it's not a "must have" item in the future.